Kim Kardashian is teaming up with one of her longtime pals! 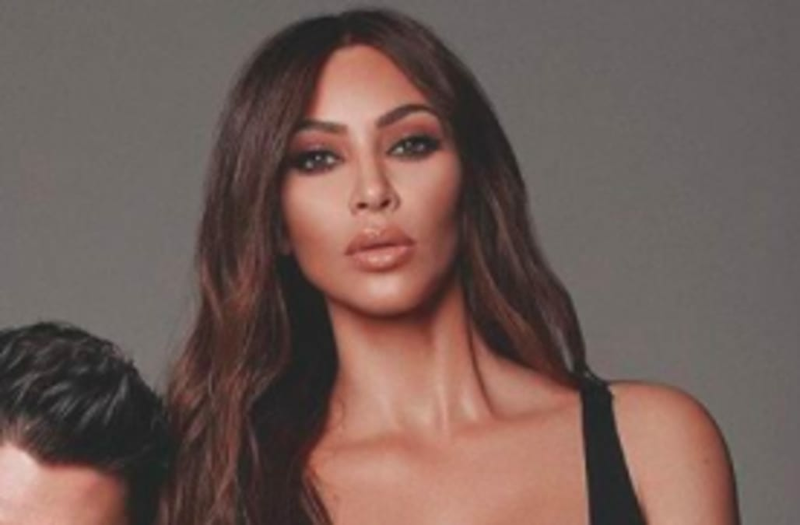 The "Keeping Up With the Kardashians" star announced a new collaboration for her KKW Beauty brand on Monday with Mario Dedivanovic, known to fans as Makeup by Mario. Dedivanovic has worked as Kardashian's main makeup artist and beauty consultant for years now, and he's frequently featured on "KUWTK." "10 years ago when we met I never dreamed we would be launching our own products together!" Kardashian wrote on Instagram. "@makeupbymario has taught me everything I know about make up! I’m so proud of this collection of our favorite eye shadows and lips! Stay tuned.... KKW X MARIO." Along with the announcement, Kardashian shared four photos from a joint photo shoot that the close friends and collaborators did together. Mario is wearing a black tee and black jeans for the shoot, while Kardashian dons a black one-piece that leaves very little to the imagination below her waistline. Her signature curves are on full display in the promotional photos, which must have been shot recently, as she's rocking her newly-dyed chocolate brown locks.